Training Saturdays: 11.30am-1:00pm Youth 14+ and Seniors. Thursdays: 7:30pm - 8:45pm Youth 14+ and Seniors. 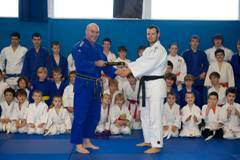 Club Coach Chris Mockridge, was the clubs first male Dan grade, is now a 3rd Dan. The club currently has 14 Dan grades and players of every grade from red to brown. 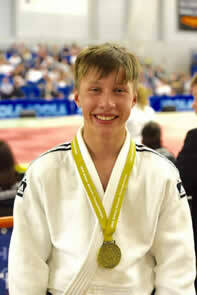 Players from age 15 years upwards follow the British Judo Kyu grading scheme. From 1st Aprl 2008 Novice to 1st Kyu theory grades, these can be gained “in house” and tests are carried out by the coaching team. A player must be at least 15 years before they can begin to fight for points for their black belt. 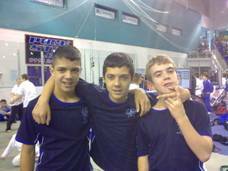 Points can be gained at either gradings or “point scoring” competitions. 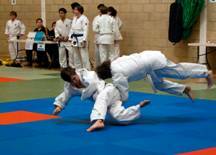 For every Ippon win a player receives 10 points, depending on their age, depends on the number of points needed. Alternatively they can face a “line up”, this is where they fight 4 people consecutively, if they win all their fights they are awarded their black belt, 1st Dan. The process repeats through to 5th Dan. Red & White belts 6th Dan to 8th Dan, these are awarded for services to judo. 9th and 10th are Red belts with 10th being the highest usualy acheived. Patchway is a competitive club, producing many British National medallists. We encourage players to enter competitions if they wish to, but we fully accept that many players are recreational players only and there is no pressure for anyone to fight in a competition. We are lucky that some of those medallists are coaching at the club so our younger players can follow in their footsteps. 2010 Sam Finn bronze & 5th place Kieran Peacock who lost to Sam in the bronze final. Congratulations to all the Youth players who fought in the British Championships! 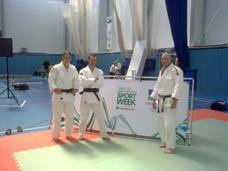 * The links in this area will let you leave Patchway Judo Club's site. The linked sites are not under the control of Patchway Judo Club and Patchway Judo Club is not responsible for the contents of any linked site or any link contained in a linked site, or any changes or updates to such sites. 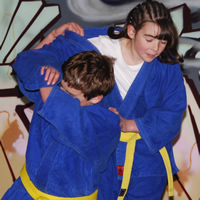 PatchwayJudo Club is not responsible for webcasting or any other form of transmission received from any linked site. 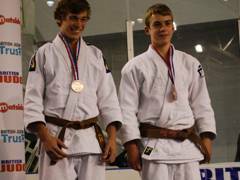 Patchway Judo Club is providing these links to you only as a convenience, and the inclusion of any link does not imply endorsement by Patchway Judo Club of the site.